I recently discovered the bane of every parent – Sleep Training a baby. Before discovering my little sleep training secret, I was going out of my mind. I was surviving on 3-4 hours of sleep each night and felt like a zombie during the day. I literally couldn’t function. If you are reading this post, I’m sure you can relate. Right now, you can’t even imagine a full nights sleep. It is just too far out of reach. Sleep training is tough but so worth the effort. Just imagine a full 6-8 hours of sleep. Having energy again – it is the small things in life! ***Editor Note – I have a long list of resources at the bottom of this post if you just need quick info. Sleep Training wasn’t even on my radar for the first few months. My daughter liked to sleep and from the beginning was consistently sleeping 3-4 hours. I was tired, but could at least function. As she got older I waited for the magical moment when she would start sleeping for longer chunks of time. It never came and at five months I started to get a bit sleep deprived. Particularly since I had returned to work. After three nights in a row of her waking up virtually every hour, I realized something needed to change. I had heard of the tons of different gentle sleep training methods from friends but wasn’t sure what was right for me and my baby. So I did what I always do when I have a question – Facebook! Here is a link to the discussion on Facebook if you are interested. I realized quickly that I had opened a can of worms. Who knew that sleep training was such a sensitive subject? Every parent has very strong opinions on Gentle Sleep Training. Fortunately, my friends are awesome and all of them were quick to reassure me that I would find a gentle sleep training method that worked for my family. There isn’t a right way to train your child since each child and parent is different. So at five months, I began the task of sleep training my baby. One of my friends was nice enough to lend me the book – The Sleep Solution: A Proven Program to Teach Your Baby to Sleep Twelve Hours a Night by Suzy Giordano. For me, this book was a game changer. I highly, highly recommend this book. It is an easy 30-45 minute read and will answer a lot of your sleep training questions. I know I’m geeking out, but seriously this book was life-changing for us. I can’t say enough good things about this book and how much it helped us sleep train our baby. The premise of the book is that any child can sleep for 12 hours a night, the trick is to get them on a regular feeding and sleeping schedule during the day. Your goal as a mother is to get them into a routine of eat, play, sleep. When they eat, play & then sleep on a regular basis, their body naturally begins the sleep training process. When a baby naturally begins to sleep train themselves, you are able to sleep train your baby with the gentle, no tears method. I’m not good at schedules but realized after reading Suzy Giordano’s book that just because I don’t like schedules doesn’t mean that my baby doesn’t need a schedule. The biggest ah-ha moment for me was the realization that I wasn’t feeding my baby consistently enough during the day. I was feeding her whenever she acted hungry, this meant she was grazing on food throughout the day. Since that was her daytime schedule, she needed to do the same thing at night. She wasn’t starving, but like the rest of us needed a certain amount of food during the day to keep her full at night. Just by changing Ella’s daytime feeding schedule to four-hour increments (for me this meant 7:00 AM, 11:00 AM, 3:00 PM and 7:00 PM) she pretty much instantly began sleeping 8-9 hours a night. She’ll still occasionally wake up in the night, but a quick pacifier and she returns to sleep. It was amazing how quickly this one little change in our daytime routine affected our night-time routine. I’ve done a lot of research and reading over the last two month. Virtually every book and website I visit talks about the effect of the daytime routine on the nighttime sleeping habits. The first step to take when sleep training a child is a regularly scheduled daytime feeding routine. I can see a difference in Ella’s sleeping almost immediately if I deviate too far from her schedule. She needs to be feed regularly and consistently. I don’t know why this was such a shock to me since I’m the same way. I get grumpy and out of sorts when I don’t eat regularly and don’t sleep as well. Why would a baby be any different? Sometimes it really is the most common sense stuff that trips me up. If you are struggling to track your baby’s eating schedule you may want to try out this schedule or this form. To other mothers struggling with Sleep Training, I’m so sorry! I know how miserable and hard it is and hope that these ideas and tips will help you and your baby get some sleep. Find a book/method that works for you and lifestyle. Use Night Diapers – There is nothing worse than having to change your baby in the middle of the night. It takes forever to get them back to sleep. Listen to your child. You can tell a lot from the tone of their cries. Track everything – Food consumption, current sleeping patterns & diaper changes. Learn to watch for cues that they are tired. Ella gets super hyper when she is tired. It took me a long time to realize her hyperactivity was tiredness. Pacifier – Not everyone uses pacifiers, but I have found sleep training with a pacifier to be very effective. I particularly like the Wubbanub Pacifiers. They are seriously the best pacifiers ever. Ask for advice, but remember that you are the one in the trenches and knows your child. Check out this free baby not sleeping through the night six-question assessment to give you potential directions to take. Don’t be afraid to try new things. If one method isn’t working try something new. Baby sleep training no tears method isn’t going to happen. There will be tears and that is okay. However, you don’t need to let your baby cry themselves to sleep. Establish a consistent nighttime routine. Use a Sound Machine – White noise is awesome when trying to help a baby sleep. It makes it so much easier for them to block out the random noises. Use Swaddling Blankets – I have a lot of friends who recommend the Miracle Blanket, I just used the regular swaddling clothing. Once Ella grew out of them, I switched to these blankets which worked well for her. Make sure and get them in the larger 45 x 45 size. Night Light – Having a night light is invaluable for when you are trying to find a lost pacifier without disturbing your baby too much. Black Out Curtains – I’ve never used these, but have friends who swear by them. Now that I have the basics of sleep training done it is time to start working on a consistent napping schedule, longer sleeping time at night and a bedtime routine that works. ***Editors Note: It has been 6 months since I wrote this post. It took another month, but by Mid-February Ella was consistently sleeping for 10-11 hours a night and taking 2 regular naps. Now six months later she is still on the same schedule and at night time will often come up to me or Aaron and snuggle up. She knows it is bedtime and is ready. Don’t give up on gentle sleep training. It takes time but is worth the effort when you finally get them on a schedule. One of the side benefits of sleep training is the ability to go on dates and know that my babysitter can easily put Ella down for naps and bed. As dorky as it sounds, this was the side benefit of infant sleep training I hadn’t realized. It is life changing! The Sleep Sense Program by Dana Obleman – This is the baby sleep training course, my friend, Nedra used, she liked it so much she became a sleep coach. Dana also has a free baby not sleeping through the night six-question assessment you can complete on her site that is very informative. Baby Sleep Made Simple – Jilly has an awesome blog with a ton of resources, both free and paid. I recommend starting with her Free Exhausted Mom’s Survival Kit. It has some great resources and information. If you need additional help she has a gentle 21-day sleep training program and a class on how to optimize napping. The Baby Sleep Site – Online Personalized sleep consulting services. They offer group and individual coaching services that are very inexpensive. Being able to bounce ideas off coaches and others who are dealing with the same issues is invaluable. The Baby Sleep Solution – Audio Program by Chris Towland – I haven’t listened to this one, but have a few friends who swear by it. If you love audiobooks this sounds like a great resource. The Sleep Solution: A Proven Program to Teach Your Baby to Sleep Twelve Hours a Night by Suzy Giordano – This was my personal favorite. Should you reach out to a Baby Sleeping Coach? A good friend of mine Nedra Cox reached out to me after my post. After dealing with sleep deprivation for two years she realized something needed to change. Her research led her to Dana Obleman’s Sleep Sense program. After going through the program and seeing the personal impact it had on her life, she decided to become a sleep coach to help other struggling mothers. She recently began coaching parents and has seen huge success. She is in the process of building out her website, but you can find additional information on her Facebook page – Snugglebuzzzsleep. Speaking with a coach really reinforced the positive changes I had made. 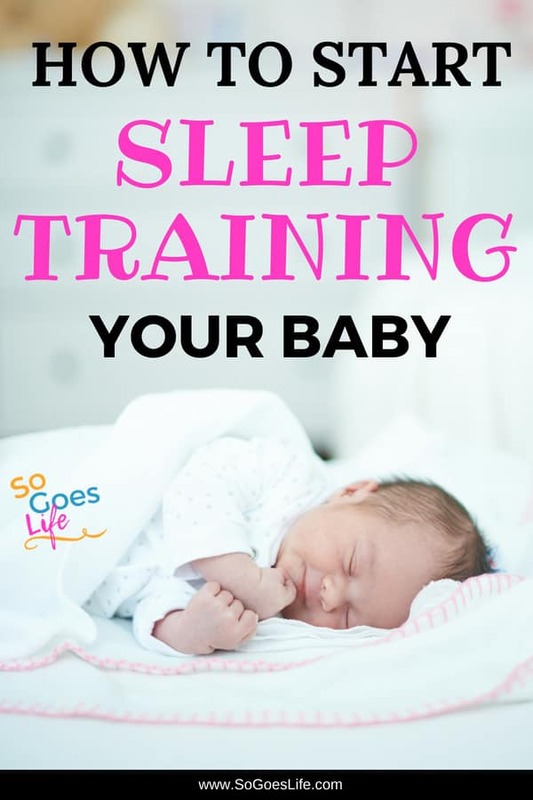 If you are struggling with sleep training and the traditional methods aren’t working I recommend checking out some of the baby sleep training courses listed above. Don’t underestimate how important sleep is to you and your baby.